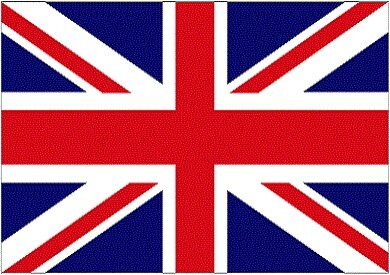 PRODUCTS There are 289 products. 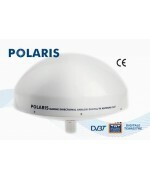 POLARIS - DIRECTIONAL TV ANTENNA – 36 DB - DIAMETER 370 MM (14’’) – 50030 AMPLIFIER - INFRARED REMOTE CONTROL - 20 M (66') COAXIAL CABLE - V9144 CONNECTOR. 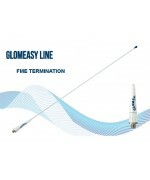 GLOMEASY LINE VHF ANTENNA - 90cm - FIBERGLASS - FME TERM. 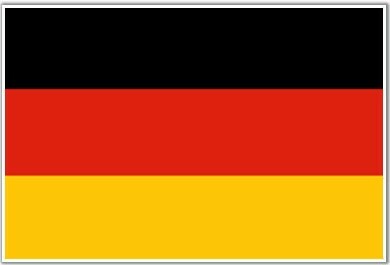 ANTENNA VHF - 3DB - 900 MM (35'') - FIBERGLASS - FME TERMINATION. 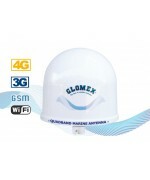 3G - 4G - WI/FI - GSM OMNIDIRECTIONAL INTERNET ANTENNA ONLY. 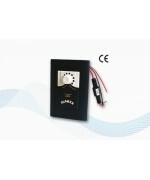 LINE AMPLIFIER FOR V9130 - 12VDC - BY PASS. 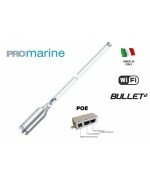 1M (3’) RUGGED PROFESSIONAL MARINE VHF ANTENNA WITH VERY COMPACT DIMENSIONS. 1M (3’) PROFESSIONAL MARINE VHF ANTENNA WITH A VERY COMPETITIVE PRICE. 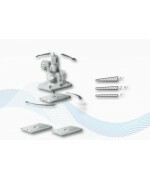 SPECIFICALLY DEVELOPED FOR WORKS BOAT. 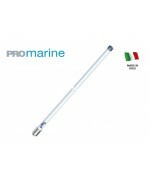 1,2 M (4’) COMPACT AND HIGH PERFORMING PROFESSIONAL MARINE VHF ANTENNA. 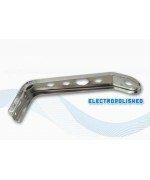 N FEMALE TERMINATION. 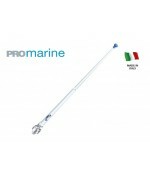 1,2 M (4’) COMPACT AND HIGH PERFORMING PROFESSIONAL MARINE VHF ANTENNA. 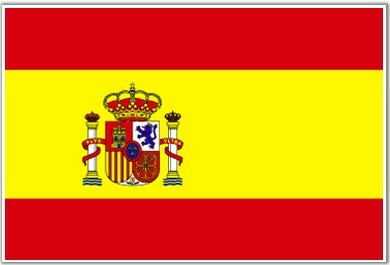 SO239 TERMINATION. 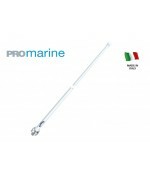 7M (23’) [IN TWO SECTIONS (4+3 M) – (13’ + 9,84’ FEET)] VERY RUGGED PROFESSIONAL MARINE SSB ANTENNA, WITH SIDE TERMINATION FEED, SPECIFICALLY DEVELOPED FOR SUPER YACHTS AND PROFESSIONAL BOATS. 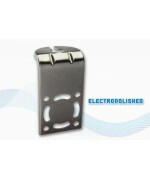 SET OF 3 RECTANGULAR WEDGES 0-1°, 0-2,5° AND 0- 5° FOR SWIVEL RATCHET MOUNTS. 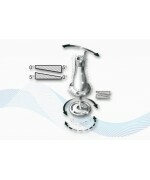 ANTENNA VHF - 3DB - 900 MM (35") - FIBERGLASS - COAXIAL CABLE NOT INCLUDED. 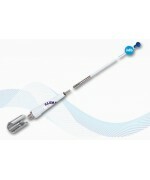 ANTENNA VHF - 3DB - 900 MM (35") - FIBERGLASS - 4,5 M (15') COAXIAL CABLE. 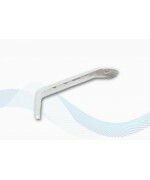 FIBERGLASS MARINE VHF ANTENNA FOR R.I.B. 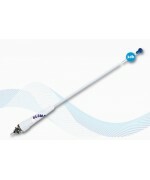 ANTENNA VHF - 3DB - 900 MM (35") - FIBREGLASS - 4,5 M (15') COAXIAL CABLE. ANTENNA VHF - 3DB - 900 MM (35") - FIBERGLASS - 18 M (59') COAXIAL CABLE.